IMAGES: Montage of candy stripers helping senior citizens and feeding disabled vets; volunteers serving food at a disaster relief shelter, piling up sandbags during a flood, handing groceries to a family at a food pantry. CUT TO IMAGES & AUDIO: Rudy Giuliani and Sarah Palin snickering over Obama’s community service at the GOP convention. 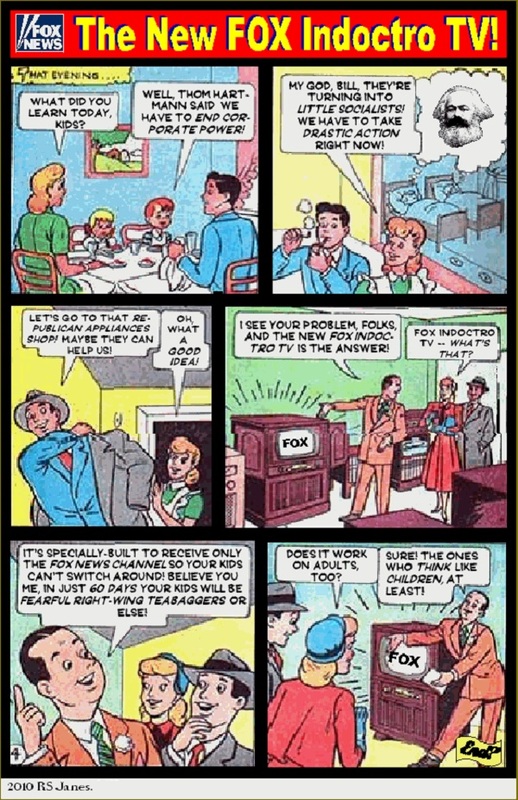 CUT TO IMAGE: Ask the Republican Party – what do they have against community service? CUT TO IMAGE: Elect Obama-Biden in 2008 – if you believe in helping America. If Obama doesn’t run an ad like this soon, and make it a regular talking point, Thom Hartmann will be right – the GOP will paint community service as some kind of far-left liberal tripe to be snickered at.